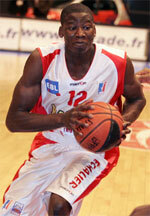 TSG Bergedorf (Regionalliga) agreed terms with experienced 35-year old French-Malian guard Ludovic Chelle (183-83). 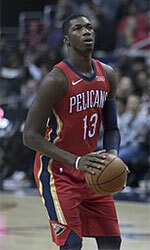 He moved there from Saint Vallier Basket Drome in French NM1 league where he played this season. The last season Chelle played at Caen Basket Calvados (ProB) in French league. In 24 games he had 8.6ppg, 1.4rpg and 2.0apg. He won French NM1 championship title in 2017. Chelle represented France at the African Championships in Libya nine years ago. His stats at that event were 9 games: 11.1ppg, 3.6rpg, 3.2apg, 1.2spg, FGP: 25.0%, 3PT: 37.3%, FT: 82.6%. Chelle has played also professionally for other French teams like Olympique Antibes, Levallois, Nantes, Chorale de Roanne and ALM Evreux. He is close to retirement age as a player. It's very possible he may end his playing career at Bergedorf.